Yesterday afternoon, I ran home under a great big blue sky of spring Alaska sun. It was 50F and there was just enough breeze to remind you’re just a few degrees off the Arctic Circle. I will say, this was exactly the type of run I looked forward to around Dec 21st, as I pulled on layer over layer and prepared for yet another run into the inky darkness with only my headlamp for company. I also spent the first mile yesterday hobbling like a geriatric. There just is never a smartphone video camera around when you need it; I would have loved to capture that first mile. Honestly, I had to smile despite the morbidity residing in my quads. It didn’t get a whole lot better, either. Any stop or sudden deceleration was plain old painful. On top of it all, the fuel tank was a little low. 6.5 in the morning + 10.0 home in the afternoon = need for lots of calories. About a mile from home, the magnificent Tordrillo Range spilling sunshine and cloud break off my right shoulder, I stopped, stretched my tight calves, and honestly considered calling Jen for a ride home. By the time I made it through the door, all I could think about was food. I sat down in the pantry, ate half a bag of crappy snack mix, two handfuls of almonds, some kind of Japanese energy squeezy-thing and followed it up with a recovery shake. Gross. 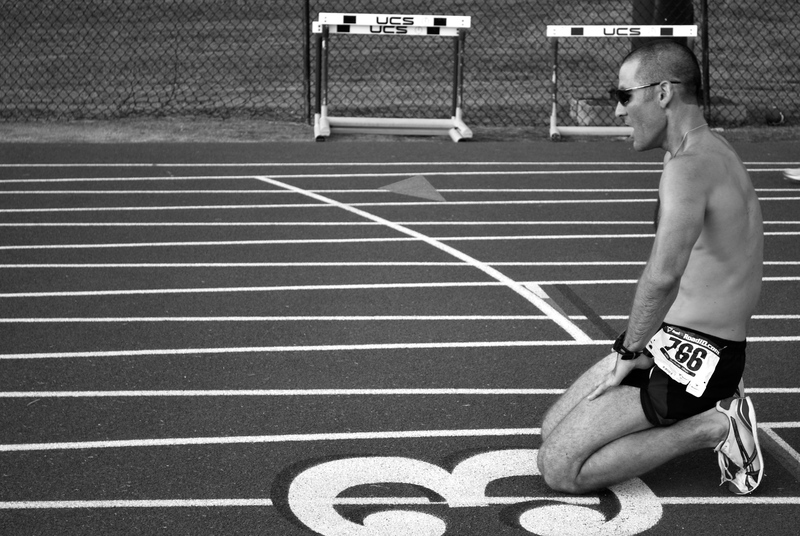 The truth of it all: like John L. Parker put it in Once a Runner, running is “all joy and woe.” There are days when everything clicks and output is which despite effort being low, and those are the rare treasures. Everything else is the true substance of running, and it might hurt, but boy it hurts so good. Yesterday was just another reminder of why I love to run. It sucked starting a ten miler understanding that it was going to be a long, slow sufferfest. But man, it was awesome to be out there enjoying the vernal sunlight and to know that the more I hurt today, the stronger I become tomorrow. I’m interested in what you think – leave a comment with a story about your most heinous/awesome run. « Shoes, Training, and Stuff. I LOVE this post!!! I had a terrible run on Wednesday night with Eric continually having to slow the pace to wait for me. Today, we ran up Pinnacle Mountain, and this time I was his carrot. Running definitely has its “ups and downs”, and I love it both for its humbling moments when it makes me feel vulnerable and for the times I feel like I could fly! 🙂 Thanks for sharing Matt! You know, I think shorter faster races are MUCH harder than long, slow ones. I have no CLUE how you maintain the EXTREMELY fast paces you maintain!! It’s all relative I suppose 🙂 I could see the mental game being a big challenge in the ultra distances. Plus the ridiculous fueling aspects and metabolic changes…plus the beating…never mind, I still think ultra distance is way harder! it’s mostly “hate” for me. I live for the moment when my feet stop moving and I hit the watch to stop the time. But I’m thankful for getting out there. every.single.time. Hmm…are we getting old? I have taken months off of running due to a nagging ankle injury. I tried to go out the other day for a simple 3 miler and barely managed a block due to knee pain. I’ve never had knee pain before! I assume there a bunch of little muscles that have atrophied and that I should take it slowly to get back into running, but it is frustrating.